2082 - Photo: Bob Florence. 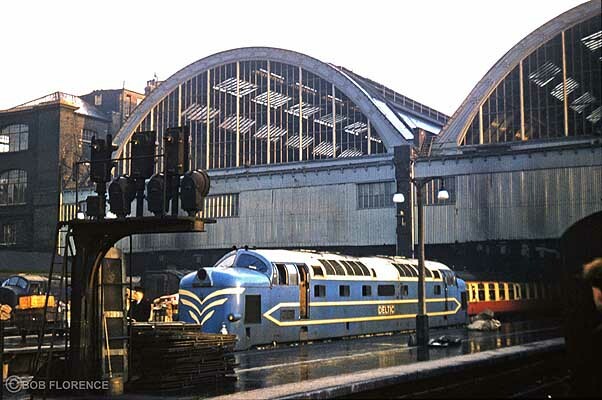 The prototype Deltic is seen in this vintage scene at King's Cross during 1960. A Baby Deltic can also be seen on the far side of the station..